Whether you're a seasoned writer or a first-timer, submitting a short story to any publication probably involves anxiety. You wouldn't have written the story if you didn't enjoy doing it. You wouldn't have submitted the story for publication if you didn't hope it's good enough and want the editor to say yes. Hearing that someone else likes your work is validating. Knowing that strangers will read your work is invigorating. Telling your family that you made a sale is good for the soul. But not every story sells, especially on first submission. Editors usually try to be kind in their rejection letters, at least in my experience. They might say that they got a lot of submissions, and many of the stories were wonderful, but they simply couldn't take them all. Or they might say that your story just wasn't a good fit for the publication, but please don't take it personally. Or they might say that they received a very similar story from someone else and simply couldn't publish both in the same book. It's this last type of rejection I'm going to focus on here. It sounds made up, doesn't it? Like an excuse. There are all kinds of rejection. I can tell you from personal experience that authors sometimes get very similar ideas. Sometimes this might be expected, especially when anthologies have narrow(ish) themes. For instance, Chesapeake Crimes: They Had It Comin' (which I co-edited) received a bunch of submissions involving revenge. (No big surprise.) A call for stories for a culinary anthology might result in a bunch of submissions involving poisoning. A book that wants weather-related short stories might receive multiple submissions about folks who are snowbound and someone is murdered. But even when an anthology's call for stories is broad (let's say, the editor wants crime stories with a female protagonist), you can still end up with several similar stories under consideration. One reason could be that authors are subject to the same national news, so it would make sense if several might be inspired by the same news story, especially a big one. For example, I'd bet there are lot more #MeToo-type stories being written and submitted now than three years ago. Authors also might be inspired by other industry successes. 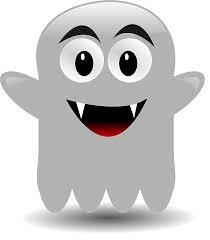 For instance, when vampire novels were all the rage, I knew several short-story authors writing about vampires, too. These authors weren't necessarily following the trend just to be trendy. Instead they were taking advantage of the trend to write about something they were interested in and that they thought they could sell. I imagine that when novels with unreliable protagonists became big, more than one editor received short stories with unreliable protagonists, too. Perhaps some authors were following the trend, but I bet others simply were inspired and wanted to see if they could pull off an unreliable narrator, as well. There's nothing wrong with any of these scenarios, but you can see how editors might end up with two similar stories to choose from. Or more. They all might be great, but an editor likely will only take one because he doesn't want the book to be monotonous. And then, of course, there's the weird scenario, when two authors respond to a very broad call for stories with an oddly similar idea that isn't inspired by the news or trends or, it seems, anything. These two authors were simply on the same wavelength. This scenario is what made me decide to write about this topic today. 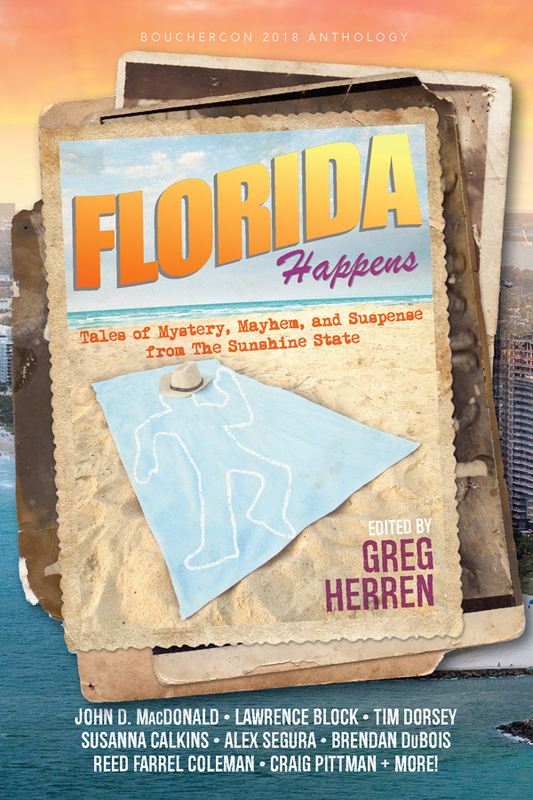 When Bouchercon put out its call for stories last autumn for the anthology that came out last month (Florida Happens), they asked for stories "set in, or inspired by, Florida and its eccentricity and complexity. We want diverse voices and characters, tales of darkness and violence, whether they are noir, cozy, hard-boiled or suspense. Push the boundaries of your creativity and the theme! Note: the stories don't have to actually be set in Florida, but can be 'inspired' by it—so a character can be from here, it can be built around a piece of music about Florida; etc." That's a pretty broad theme. With that theme, I wouldn't be surprised if they got a bunch of submissions involving older people, since Florida is where many people retire. And I wouldn't be surprised if they received a lot of submissions involving the beach or the ocean, since Florida is where so many people vacation. But what are the odds that two (or maybe more) authors were going to submit stories about missing cats? And yet, that is nearly what happened. Hilary Davidson wrote one such story. 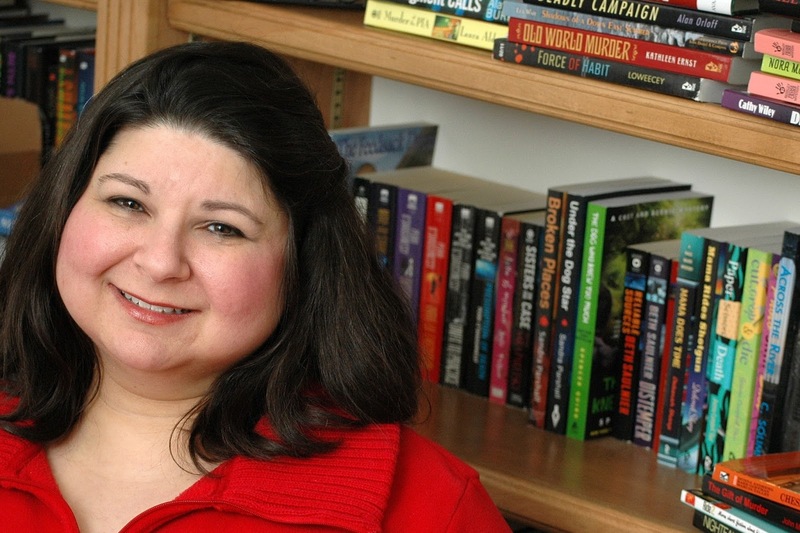 Her story in the anthology, "Mr. Bones," is about a missing cat. My story in the anthology, "The Case of the Missing Pot Roast," involves a missing pot roast. But as originally planned, that pot roast was going to be ... yep ... a cat. Thank goodness for my unease, because I like the story much better with the pot roast. It makes the story lighter. Funnier. And it turned out that using the roast likely increased my chances of my story being accepted because I wasn't directly competing with Hilary Davidson (who wrote a great story). Indeed, imagine if I had gone through with my story as originally planned. 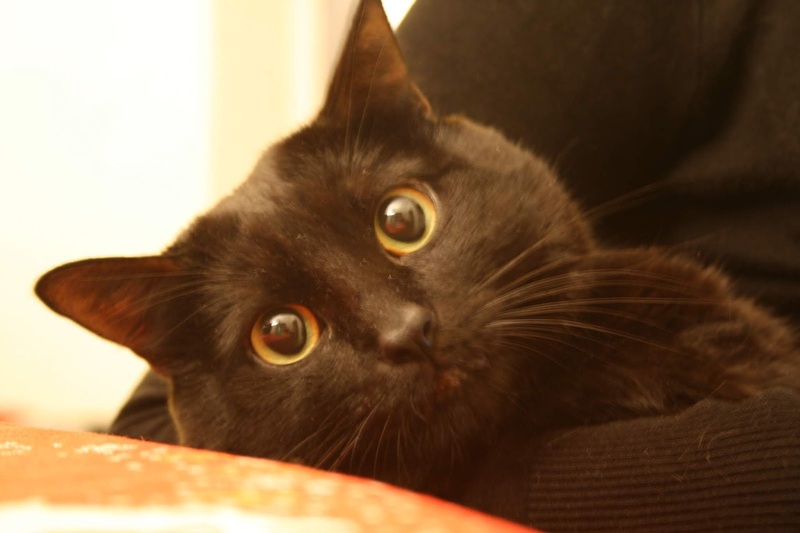 The people who chose the stories would have had two submissions involving missing cats! And they likely would not have taken both stories. So the next time you get a rejection letter and the editor says, please don't take this personally, take the editor at her word. You never know when someone else has an idea quite similar to yours. The world is funny that way.